The Golan Heights, Israel’s mountainous north-eastern region, is one of the most beautiful areas of the country. In the Golan, rather than desert, we have streams and waterfalls. 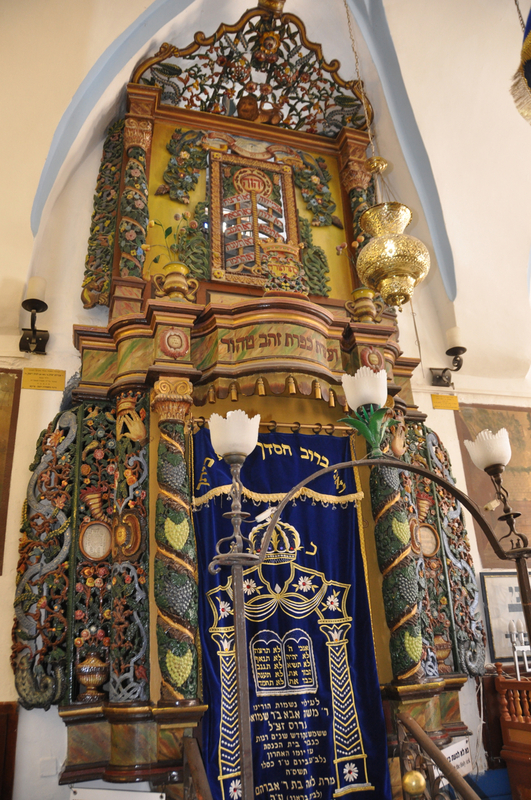 There are also numerous archeological sites and ancient synagogues dating back to the Roman and Byzantine periods, evidence of flourishing Jewish communities in the area going back 2000 years. 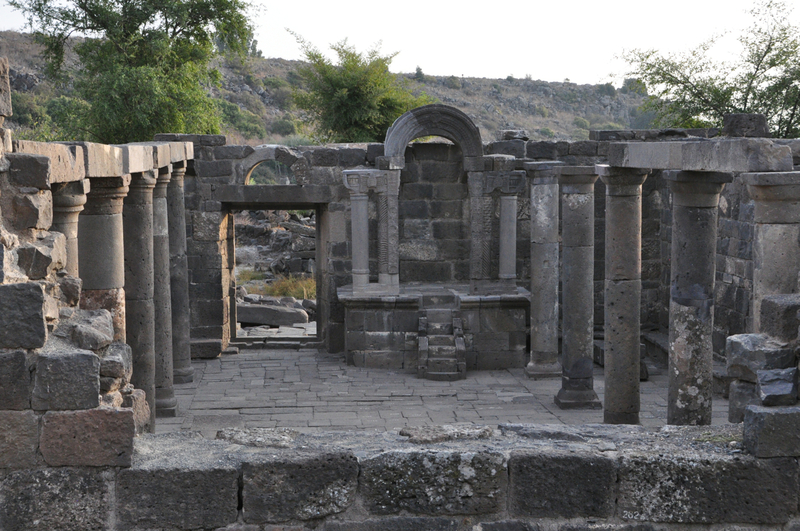 The remains of 25 synagogues from the period between the Great Revolt in 66 and the Islamic conquest in 636, when organized Jewish settlement on the Golan came to an end, have been discovered – 6 have been excavated. 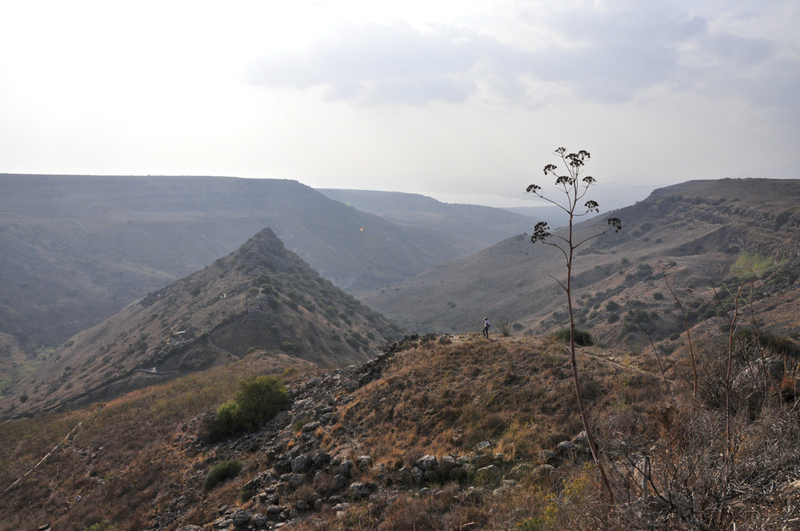 The Golan was settled in the modern period beginning in 1886 when Jews from Tzfat and Tiberias settled there. The Bnei Yehuda society of Tzfat purchased a plot of land in the village of Ramataniya in central Golan (4 km north-west of the present day religious moshav of Keshet) and named their settlement “Golan BeBashan” and settled there for about a year. In 1887, they purchased lands between the modern day Bnei Yehuda and Kibbutz Ein Gev. 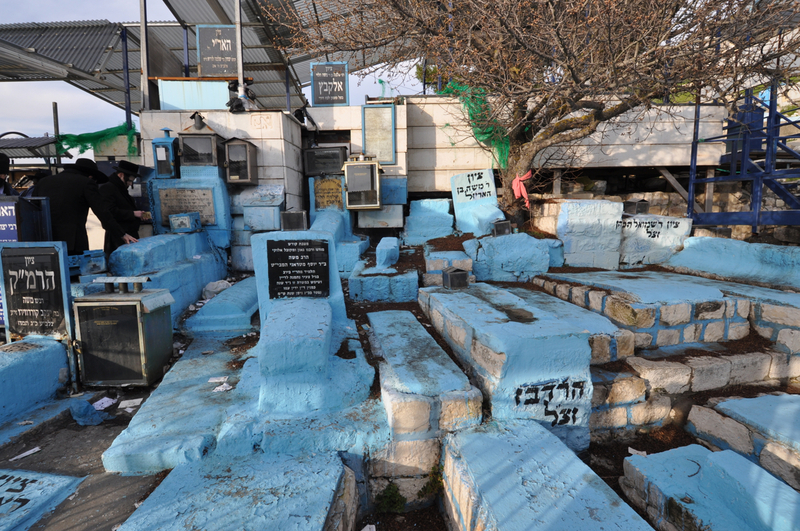 This community survived until 1920, when two of its last members were murdered in the anti-Jewish riots which erupted in the spring of that year. In 1891, Baron Rothschild purchased approximately 18,000 acres of land about 15 km east of Ramat Hamagshimim, in what is now Syria. First Aliyah (1881-1903) immigrants established five small communities on this land, but were forced to leave by the Turks in 1898. The lands continued to be farmed until 1947 by the Palestine Colonization Association and the Israel Colonization Association, when they were seized by the Syrian army. Most of the Golan Heights were included within Mandatory Palestine when the Mandate was formally granted in 1922, but Britain ceded the area to France in the Franco-British Agreement of 7 March 1923. Consequently, the Golan Heights became part of Syria after the termination of the French mandate in 1944. During the 1948-49 War of Independence the Syrians army attacked the adjacent Jewish areas and managed to advance beyond the international border. After the war, the Syrians built extensive fortifications on the Heights, which were used for shelling of civilian targets in Israel. 140 Israelis were killed and many more were injured in these attacks between 1949 and 1967, and particularly in the spring of 1957. Because of this pounding, Israel Defense Forces captured the Golan Heights during the Six-Day war. On a recent tour of the Golan I took clients to the archaeological park with ruins of the ancient Jewish city of Gamla to see the Second Temple period synagogue, hiked through dolmens to a 50 meter waterfall and from a panoramic lookout with a view of the Sea of Galilee watched the Griffon vultures soar through the canyon. From there we visited Um el-Kanatir (Arabic for Mother of the Arches) an impressive set of standing ruins of a Jewish village from the Byzantine era to see the ongoing reconstruction of the synagogue there. 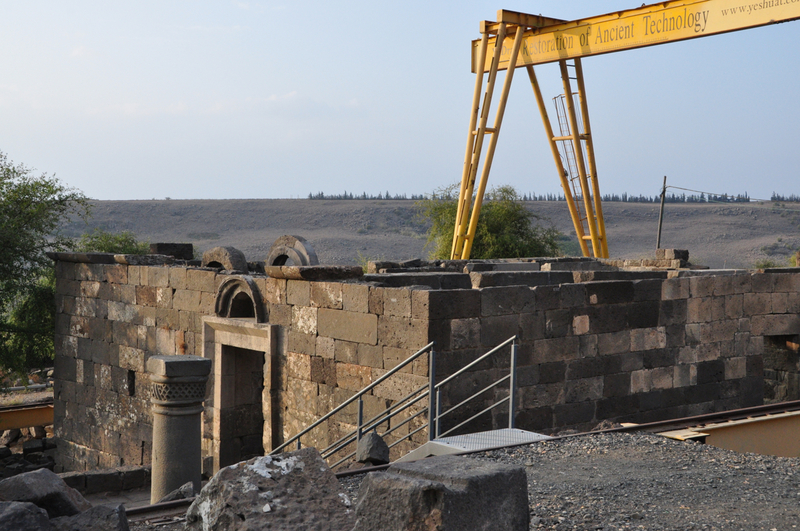 The ruins of a very large synagogue of local basalt stone were found, destroyed by the earthquake of 749 CE. 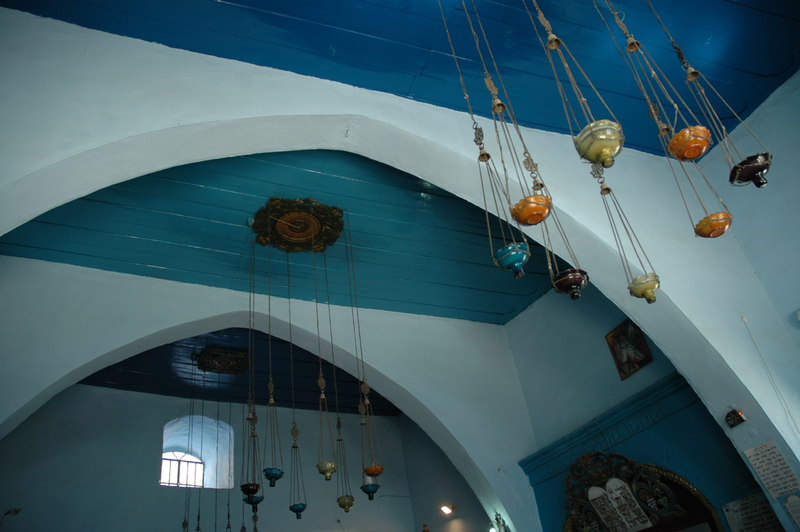 I hadn’t visited in a year and there has been a lot of progress in the reconstruction of the synagogue, the walls extend to ceiling height now and the bima has been set in place (the work has now been completed). Katzrin is also well worth a visit. 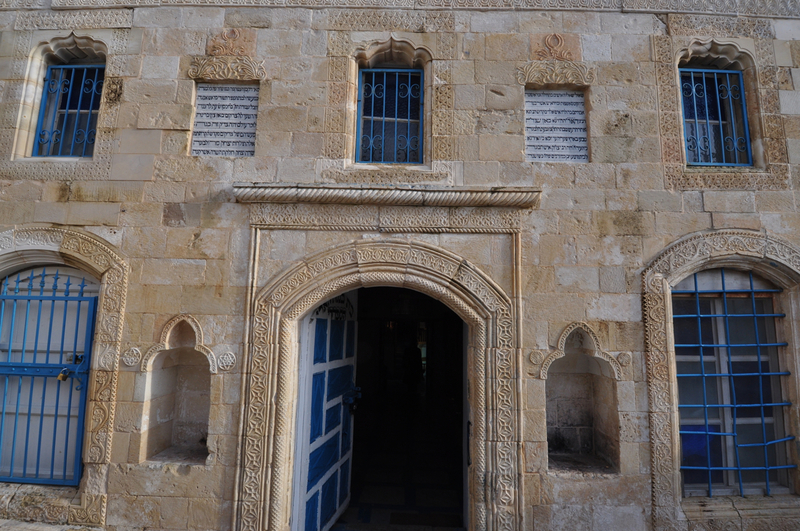 The Talmudic Village lets us explore the 4th century CE village of Katzrin which includes a 6th century synagogue (built on an earlier more modest one) similar to the one at Um el Kanatir. The nearby Archaeological Museum displays artifacts uncovered on the Golan. One fascinating find is an 1,800-year-old door lintel carved of basalt with a Hebrew inscription “this is the beit midrash (study house) of Rabbi Eliezer HaKapar” that was discovered in the village of Daburiye, situated near a steep ravine with a pair of spectacular waterfalls. We know of the tanna (70-200 CE) Eliezer HaKapar, whose name refers to his work, making wine from the fruit of the caper. There is a discussion in the Talmud about wearing new shoes on the Sabbath: What are new shoes? Shoes that have not “walked” a certain distance, the distance between the synagogue at Katzrin and the beit midrash of Rabbi Eliezer KaKapar. The Golan Heights Winery which changed the world’s impression of Israeli wines and placed Israel firmly on the international wine map or one of a number of smaller wineries is definitely worth a visit if you are into wine. One of my favorites is the Pelter winery on Kibbutz Ein Zivan where you can have a tour and learn how Tal Pelter produces a sparkling white wine in the traditional way, as well as an unwooded Chardonnay and a Gewurztraminer described as “Sweet peach, liche, melon, citrus on a lively acidic background” and taste the wine along with the artisan goat cheeses that Tal’s spouse/partner makes. Hamat Gader is the site of natural hot mineral springs with temperatures reaching 50 °C (122 °F) and includes a 2000 seat Roman theatre built in the 3rd century CE and a large synagogue from the 5th century CE. 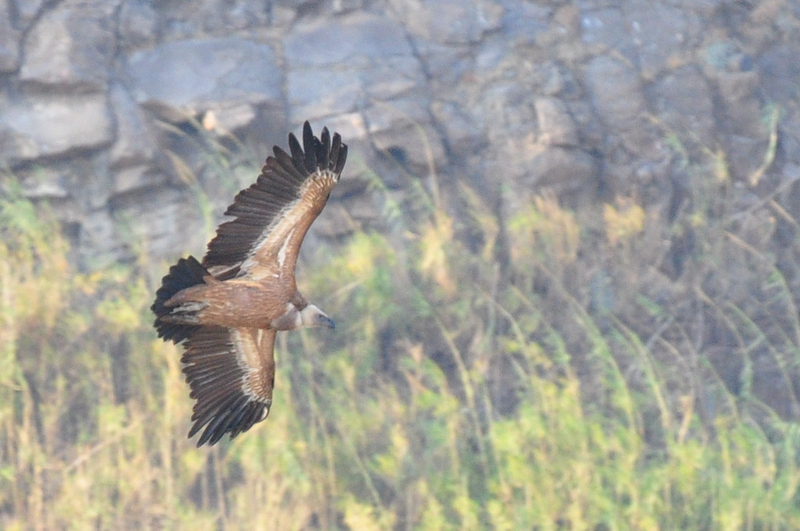 This entry was posted in Archaeology, Architecture, Synagogue and tagged ancient synagogue, Gamla, Golan, Golan Heights, Griffon Vulture, Safed, Syria, Um el Kanatir on December 1, 2013 by Shmuel Browns. With the expulsion of the Jews from Spain in 1492, many prominent rabbis found their way to Safed (in Hebrew, Tzfat), among them the Kabbalists Isaac Luria and Moshe Kordovero; Joseph Caro, the author of the Shulchan Aruch and Shlomo Halevi Alkabetz, composer of the Sabbath hymn Lecha Dodi. 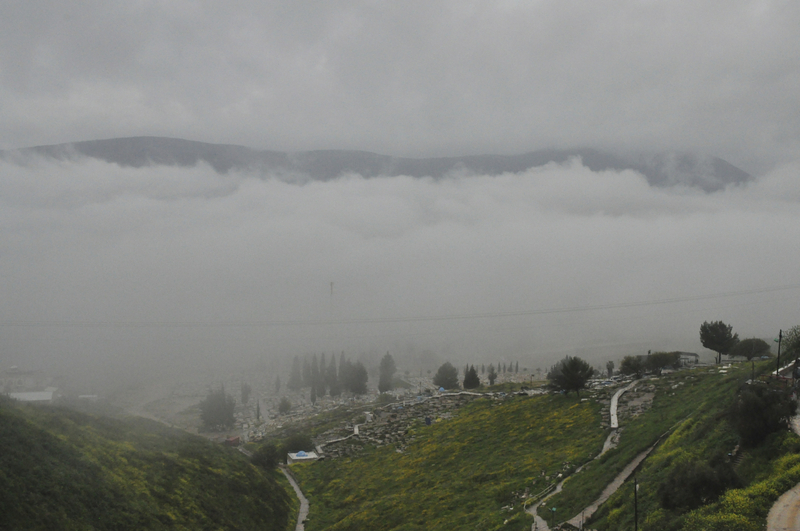 They are buried in the cemetery, their graves traditionally painted sky-blue, at the foot of the mountain south of the city. 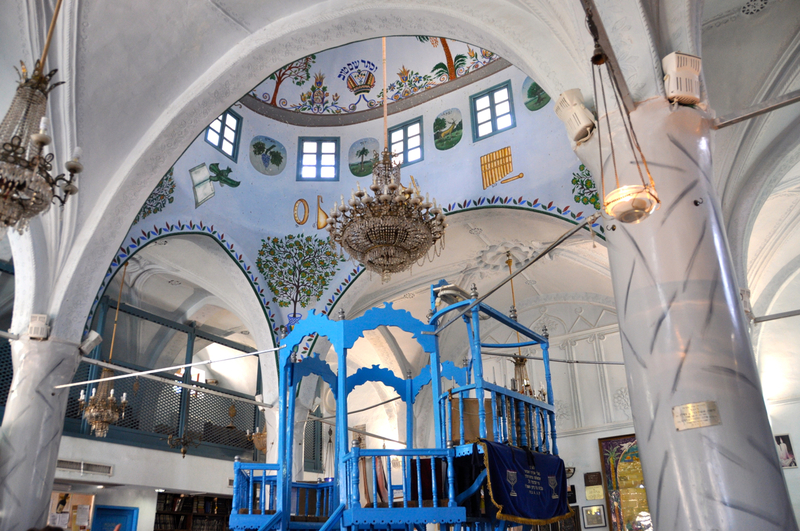 Safed came to be regarded as one of the four holy cities along with Jerusalem, Hebron and Tiberias. Safed is associated with the element of air, a reference to the mystical/spiritual branch of Judaism, Kabbalah that flourished there. The technical details – the photo was taken with a Nikon D90 digital camera in May (ISO 3200, 29mm, F13 at 1/800 sec). 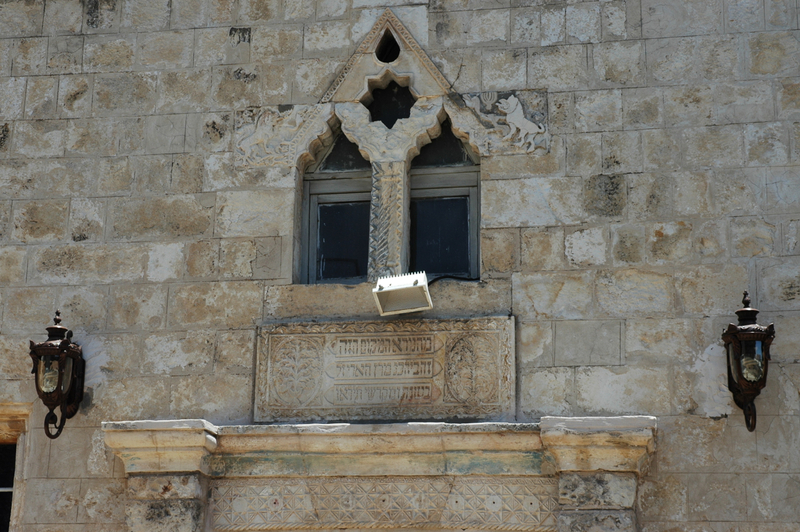 This entry was posted in Photography, Tomb and tagged Israel photo, Kabbalah, photo of week, Photography, Safed on January 6, 2013 by Shmuel Browns.